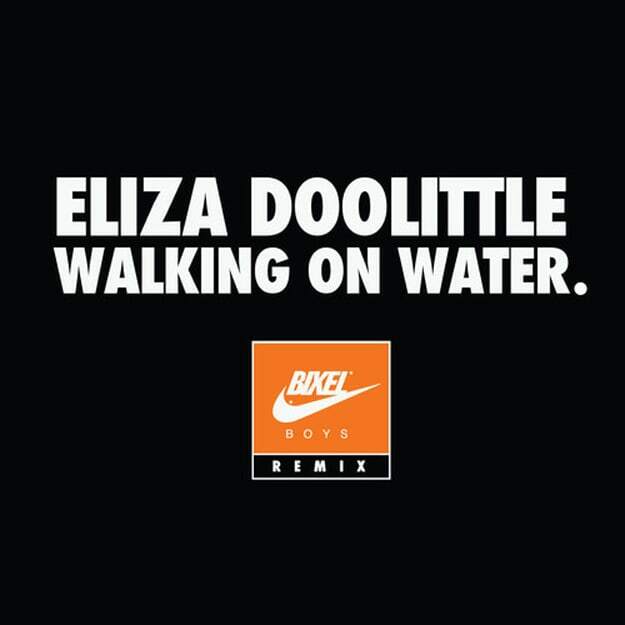 With an outstanding 2013 behind them and the first month of 2014 in the books, Bixel Boys are back at it and poised for their next assault with a huge remix of Eliza Doolittle&apos;s Euro-hit, "Walking on Water." The track itself features the smooth, UK garage vibe and vocals from the original with an injection of 4x4 kicks and the restructuring that it needed to go from average to anthem. While the album artwork may appear to reference the song&apos;s lyrics about Jesus-like Nike Air Max kicks, we think (read: know via stalking) that it may be teasing some spring clothing releases from the boys of Bix. So pick up the first of many free downloads from the boys this year and make sure you&apos;re keeping up with them on Facebook, Twitter, and SoundCloud for more.